Eddie Lewis is committed to working with you to help you have the wedding you always dreamed of. He has a different outlook and doesn’t see weddings as an “industry.” He enjoys the beauty of weddings and considers it an honor to be part of your special day. Click HERE to read a blog post he wrote on this topic. Eddie is a patient man and has worked with hundreds of brides over the past three decades. It is his desire to make things easier and more convenient for you, everything from choosing the music to paying your balance (at his online payments page). Feel free to call Eddie at +1.713.594.4584 or email him at eltigredo@sbcglobal.net. 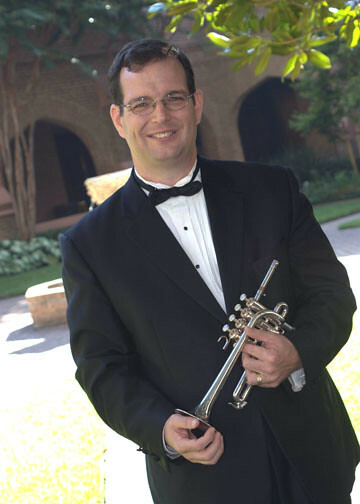 Eddie performed his first wedding as a professional trumpet player in 1982, at St. Patrick Cathedral in El Paso, Texas. In that earliest stage of his carreer, he was typically hired as a second trumpet player, performing under the guidance of more experienced musicians. By the time Eddie moved to Houston in 1988 he was already a seasoned pro as far as playing trumpet in weddings is concerned. In Houston, the main theme behind the weddings Eddie has performed is one of variety. 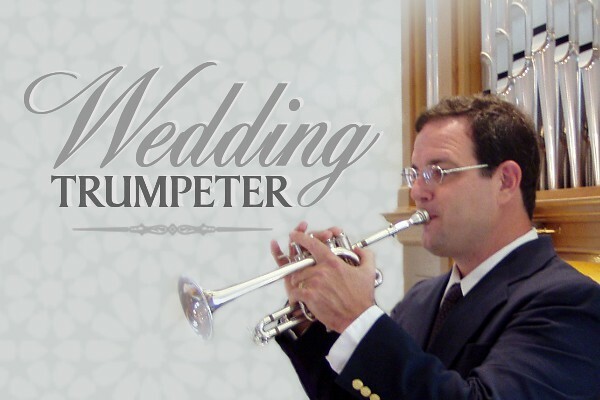 In every aspect, his wedding trumpet playing experience has covered the gamut of musical possibilities. Denominations? He has played everything from weddings with full Catholic masses to short “justice of the peace” ceremonies in hotel ballrooms. He has performed trumpet in Jewish weddings, Baptist weddings, Methodist, Lutheran, Presbyterian and dozens of mixed denominational weddings. Venues? Eddie has played in huge cathedrals and small “wedding chapels”. He has performed in weddings on beaches, in the woods and in rose gardens. He has even done a few renaissance weddings in full costume. While it is true that most of the weddings he does are in churches, at least a few weddings each year break away from the norm. Accompaniments? Eddie has performed many weddings without any accompaniment at all, which is what you will hear on his wedding music sound clips. He has also played in duos with organ, piano, harp and even with string quartets. For one wedding in the early 90’s, he even orchestrated a few contemporary Christian songs (mostly Amy Grant songs) for a small band which included piano, bass, drums and half a dozen horns. The bride’s sister still talks about how the way the music was written worked for the entrance of the bride and how their mother got so excited when she heard the trumpet fanfare. So you can see that Eddie’s experience performing trumpet in weddings is long standing and comprehensive. services currently available within Eddie’s capacity as a wedding trumpeter. Trumpet and Organ/Piano – Most church weddings use this combination. In most cases, the organist is hired separately from the trumpet player, through the church. However, if you are in need of an organist, both players may be hired at once, as a duo. Trumpet Alone – Trumpet players are commonly hired to play solo, without accompaniment, at outdoor weddings and other locations which do not provide piano or organ. Note: The current demo recording included on this web page is of Eddie performing standard wedding pieces without accompaniment. Trumpet and String Quartet (Trumpet, 2 Violins, Viola and Cello) – Hire string quartet and trumpet for just about any kind of wedding; indoors, outdoors, churches, wedding chapels and private homes. It works practically anywhere. Most classical music can work with this instrumentation. Trumpet Ensemble – An alternative to “Trumpet Alone” is two or more trumpets together. There’s something royal and majestic about the sound of many trumpets. It’s an age old association dating back to days of kings and queens in their castles with fanfares and flourishes performed at every occasion of great importance. Brass Quintet or other Ensembles (Quintet is 2 Trumpets, French Horn, Trombone and Tuba) – Eddie is also the music director of Consort Immanuel. If you are interested in hiring a brass quintet for your wedding, this is the perfect ensemble. The size of the ensemble can be tailored to meet your needs, Trio, Quartet, Quintet or even more if you want. Some instrumentations will work for both the ceremony and the reception. For example, trumpet with string quartet is an excellent choice for such a cause. If your reception requires light classical music (no dancing) then trumpet and string quartet is a perfect solution. Or if you would like something just a little bit jazzier, try the trumpet and string bass. Neither of these instrumentations could possibly replace a dance band at a large reception. But not all receptions call for these kinds of bands. Some receptions require lighter music meant only to enhance the ambiance of the event. The following is a list of the top twenty wedding songs which Eddie Lewis has performed in ceremonies over the past twenty years. It is a representation of Eddie’s wedding experiences and should not be interpreted as a limitation placed on the bride and groom. Eddie invites and encourages you to choose the music that you find most appropriate for your own wedding day, regardless if it is listed here or not. Trumpets and Keys – A Brief Note: Eddie uses different instruments and keys, depending on whether he is accompanied or not. If playing with an organ, piano or string quartet, he performs all of the musical works in their original keys and usually on piccolo trumpet (for the baroque pieces). However, when playing unaccompanied, Eddie plays most of the pieces in lower keys and on his “B Flat” trumpet. The reason for this has mostly to do with sound quality and endurance.